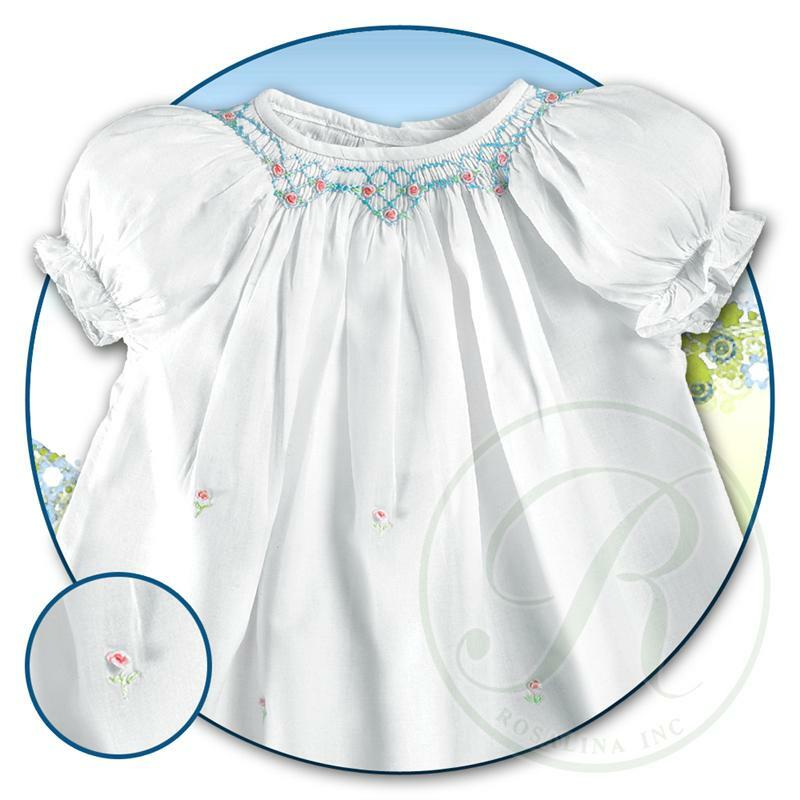 This darling little white cotton baby gown is made by Rosalina, a leading designer of classic children's clothing. Made in the style of the vintage bishop gowns worn by babies in 1920s and 1930s, this sweet little gown features pink embroidered rosebuds over blue smocking at the bishop neckline. 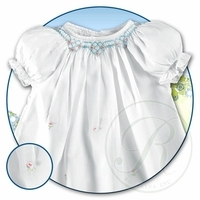 The short puffed sleeves are finished with elasticized ruffles. Delicate embroidered rosebuds adorn the front of this precious little gown. It closes in the back with two little buttons. The perfect little take home gown or first portrait gown for your newborn baby girl!